Tyrone McCarthy decided that the time had come to revolutionise the Auto Trimming business once again. After establishing two successful branches built on the foundations of “Quality and Service”, dealers in the outlying area’s soon began to take notice; this is how the idea of launching a mobile unit was born. They then purchased an extra large panel van and refurbished it completely, installing a mini trim shop in the back section and spray booth at the rear. This enabled them to deliver a quality & service not seen before. 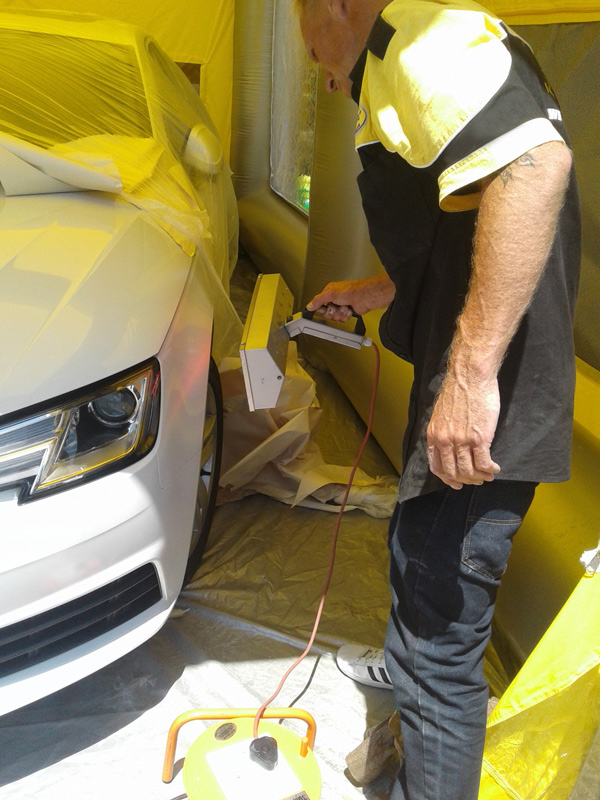 As all repairs are carried out on site, by a team of highly skilled auto trimmers and exterior paint specialists. “We have 14 fully equipped mobile units in operation covering the Western Cape, Kwazulu-Natal and Gauteng, ready to come to your home or office to do any spot repairs – Convenience at its best.” More regions and mobiles to follow shortly.